Day of publication from the weekly schedule (but see the note for the magazine). The technical illustration actually takes pp. 34 & 35. On p. 66 is a preview for the next issue. Pp. 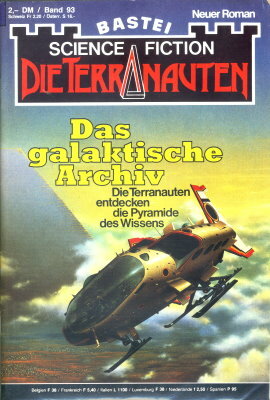 2, 40 & 41, 67 and 68 are ad pages (also, a small ad on p. 49 lists five Bastei Lübbe books of the same month, November 1981). The cover art credit is from the piece's parent title.